"I recommend every woman to become her own boss"
Juana Neyra Garcia - "What men can do, I can do as well"
Empower 100,000 women entrepreneurs from low-income communities worldwide to develop and grow their business. Showcase successful business models in 7 countries to inspire women to become entrepreneurs, ensuring they have the right conditions to succeed. Launch a pioneering Global Report on the economic and social value of investing in women’s enterprise development. Following the success of the CARE and H&M Foundation Women in Enterprise partnership, which ran from 2014-17, H&M Foundation has announced renewed funding over the next 3 years. Through the partnership, CARE will empower a further 100,000 women entrepreneurs from poor communities globally, working to develop successful business models to support women from survival to success. We will share our learnings via a pioneering Global Report on the economic and social value of investing in women’s enterprise development. Three years ago it sounded as a bold goal, but now it has become reality. 100.000 women from poor communities got the opportunity to become self-sufficient entrepreneurs through the global program of CARE and H&M Foundation, with results showing a ten-fold increase in income in some cases. ‘Making my own business has really changed my life. I´m proud to be an entrepreneur,’ a participant from Peru explains. In 11 countries worldwide 100.000 women got access to the funds and business skills they need, in order to startup or expand their own business - and change their future for generations to come. 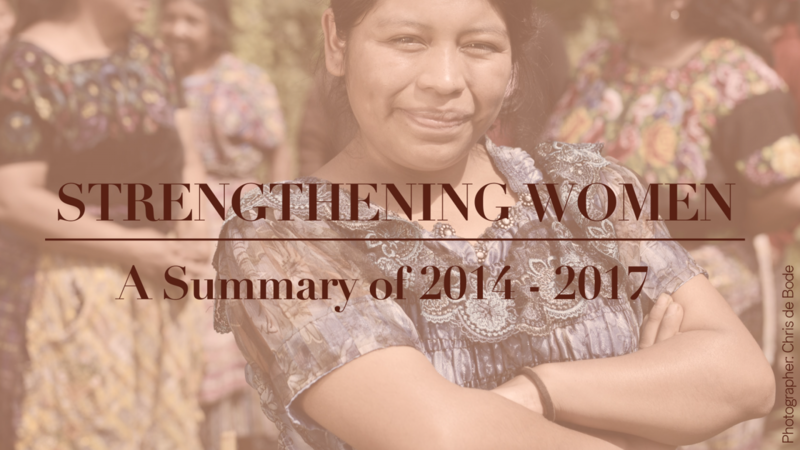 This program reveals the enormous potential of women from marginalized communities. When they get access to the right skills and tools, and tap into their own inner strength, they take leadership in their lives and become successful entrepreneurs, regardless of their background. Like Bedryyah, a Syrian refugee that lives in Jordan now and has her own catering business. Through 5 regional campaigns in Peru, Jordan, Nepal, Burundi, Ivory Coast and Sierra Leone CARE has also provided a platform to role models to inspire women of poor communities to overcome their hurdles and realize their dreams. The campaigns have shown that support among women is an important contributing factor for women to achieve success. A global report has been developed which shows the potential of world’s most marginalized women as a key to eradicate poverty. The report advocates for policy changes needed to ensure more women reach their full potential and exercise their rights. It has been offered to key policy makers and influencers on women’s rights and empowerment at the UN Commission on the Status of Women event in New York. Around the world, women and girls are the ones that are disproportionately affected by poverty and discrimination. They make up the majority of the world’s poorest people. In all regions of the world women spend at least twice as much time as men on unpaid domestic work. 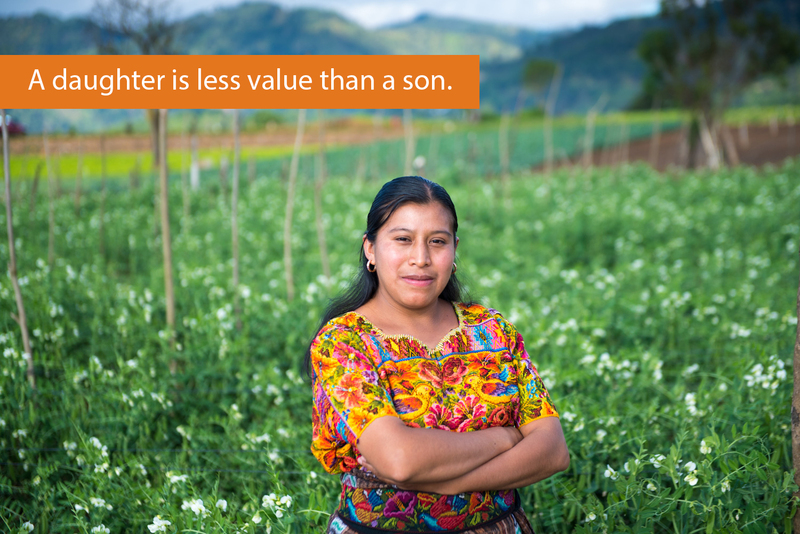 Women and girls are prevented from realizing their potential and dreams. CARE is convinced that encouraging and facilitating entrepreneurship for women is a vital step to fight poverty and achieve equality. In Burundi all 10.000 participating women increased their income, with an average increase of 203 per cent. Results have been equally promising across Guatemala, Indonesia, Ivory Coast, Jordan, Nepal, Peru, Sierra Leone, Sri Lanka, and Zambia. To support the women’s process of empowerment CARE also engages husbands and sons. The program has proven to be a core contributing factor in achieving equality between women and men. Watch this video about the goals of the CARE - H&M Foundation program.